The Raven Performing Arts Theater management team is simply a group of individuals from a wide range of backgrounds united in a single goal — to give performing arts a permanent home in our own backyard. We’re always looking for like-minded people willing to donate their time. You can help at an individual event by building sets, taking tickets, selling concession-stand items, dispersing posters, or fulfilling a variety of other needed tasks. Or join one of our committees to help with marketing, fundraising, administration, event development, finance, etc. Let us know what you’d like to do and we’ll give you a way to match your skills and interests with a volunteer role at The Raven Healdsburg! 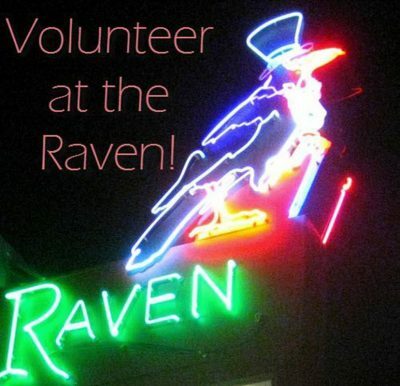 Volunteer at the Raven and Get Involved! Click Here to Get Started!